The Good Lord took another Angel home. 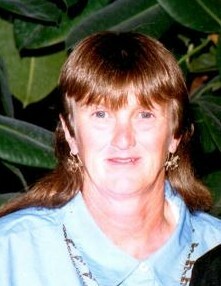 Carol Jean Sherwood left her family and friends to ride horses in heaven on January 23, 2019. She was born in Lamar, Colo., on October 21, 1957 and passed away at Parkview Medical Center in Pueblo, Colo., with family by her side. Carol was born to Jean and Cecelia (Dorenkamp) Sherwood and is preceded in death by her parents. She is survived by her siblings, Jim (Kay) Sherwood of Hartman, CO, Kathryn Miller (and friend, Chunk Youngblood) of Pueblo, CO, Fred (Sandy) Sherwood of Hartman, CO, Marlene Sherwood (Scotty McClain) of Pueblo, CO, Mike (Cathy) Sherwood of Lamar, CO and Patrick (Cherl) Sherwood of Pueblo, CO; as well as numerous nieces, nephews, other relatives and many, many friends. Per Carol’s request, cremation has taken place and there will be no public visitation. Rosary for Carol will be held at 7:00 p.m. on Friday, February 15, 2019. A Memorial Mass will be held at 10:00 a.m. on Saturday, February 16, 2019. Both will be held at St. Francis de Sales Catholic Church, 600 E Parmenter St., Lamar, Colo. Interment will follow in the Holly Cemetery. If you choose to make a memorial contribution please do so in her name to Craig Hospital Foundation, 3425 South Clarkson, Englewood, CO 80113.